I used to think that art galleries were not for people like me. I had only really seen art galleries on television and in the movies, and so I assumed they were either for the fabulously wealthy or fabulously hip. I, of course, was neither. Then I befriended artists, went to their shows, and realized that yes, art is for everyone and that means so are art galleries. Now I love to visit galleries, especially if I’m lucky enough to catch a show devoted entirely to fiber arts. When I can’t visit a show, it’s one of my great joys to share the information with others. 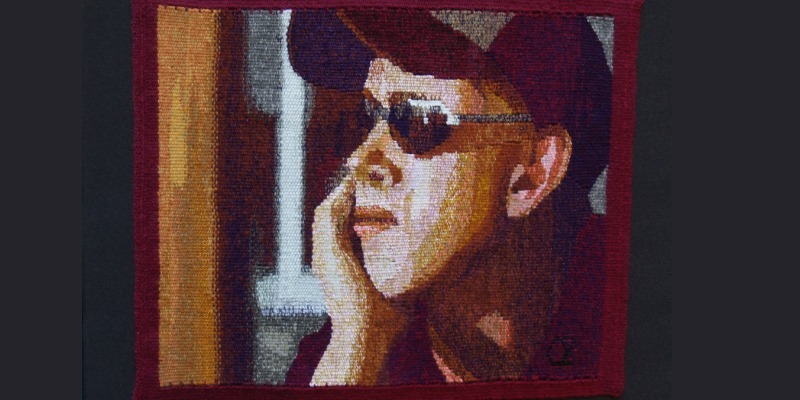 One such show is the very first fiber exhibit from the North Adams Fiber Artists (NAFA) opening on September 7 at the Eclipse Mill Gallery in North Adams, Massachusetts. The exhibit, which runs through October 8, showcases not just the diversity of the artists’ individual work but also the diversity found within fiber arts in general. Attendees to the show will be able to see works that are handspun, hand-dyed, handwoven, felted, crocheted, knitted, knotted, and hooked, as well as combinations of those crafts. 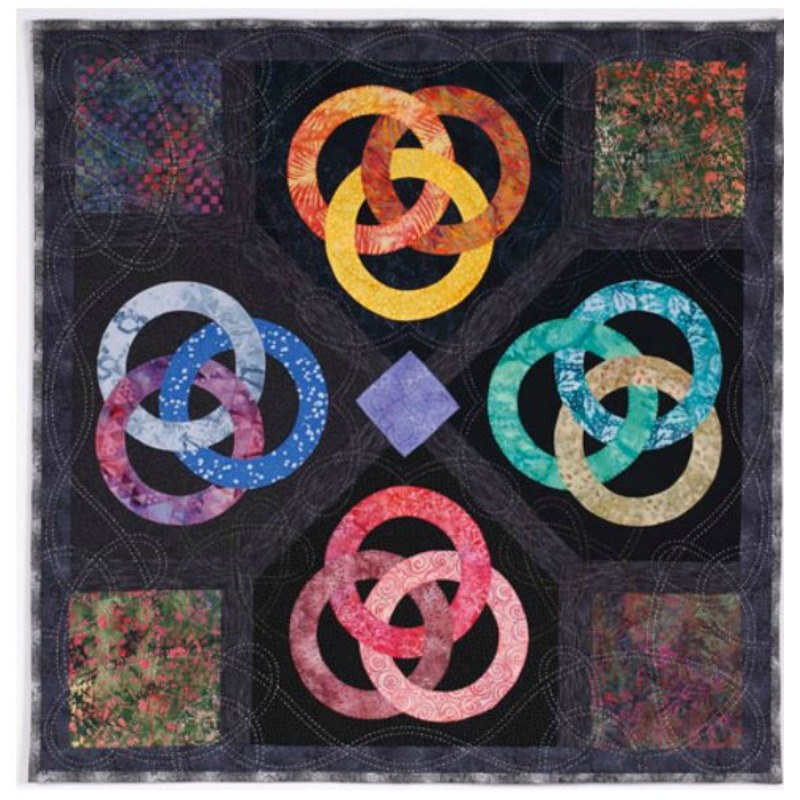 “Borromean Rings,” a quilt, by Beth Davis and one of the works featured in NAFA’s Cross Section show. PHOTO COURTESY OF NAFA. Artists in the exhibit include quilter Beth Davis, weaver Brenda Osborn, and felter Sharon Costello, just to name a few. If the latter name sounds familiar, Sharon has several videos with Interweave on wet-felting, needlefelting, and nuno felting. Cross-Section’s opening reception will be held from 5 p.m. to 8 p.m. on September 7, 2018 and will be open Fridays, Saturdays, and Sundays from noon to 5, and on Monday, October 8, from noon to 5. Discover new resources from Handwoven!